International Eat a Tasty Animal for PETA Day is coming up on March 15th as it does every year. IEATAPETA Day was started in 2003 as a response to an ad campaign by PETA that used Holocaust terminology, quotes, and pictures to liken the human consumption of chickens to the slaughter of the Jews by the Nazis. In honor of the 15th Annual IEATAPETA Day, I’ll be posting recipes leading up to the date. 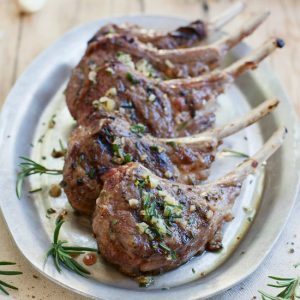 Here’s one for Lamb Chops Sizzled with Garlic.